The Sims 4 has finally received a big feature missing at launch. Pools were added to the game through a free update to the game today. On the The Sims blog, executive producer Shannon Copur explained that Sims 4's Build Mode allows for new possibilities with pools. "First off, we have diagonal pool building!" Copur said. "Many of you have asked for this so we’re happy it will now be included in The Sims 4 after you update your game. I’ve always longed to recreate those visually dramatic pools that are often seen at exotic resorts. Now, players can place windows on the walls of pools to create an infinity-pool aquatic escape for your Sims. And we’ve also added the ability to adjust the depth of your pools by adjusting wall heights." Pools no longer need to be on ground level. If you want to install one on your home's second floor or rooftop, you can do so. Once you've set up your pool, you can decorate it with lights, ladders and different textures. EA provided some sample screenshots to give us a taste of the possibilities. Sims can swim in the pool while wearing a range of new bathing suits. This exercise can help them work off some anger. They can also sit on the edge or splash each other. "Of course pools would not be pools without a new death type. Yup, our old favorite, Death by Drowning is back! And you will see that the resulting ghost may be a little more wary of water than before." The update includes several bug fixes as well, including some common freezes and crashes. Other oddities removed by the patch include levitating children and ghosts inspecting barbecue grills. The full patch notes can be found here. 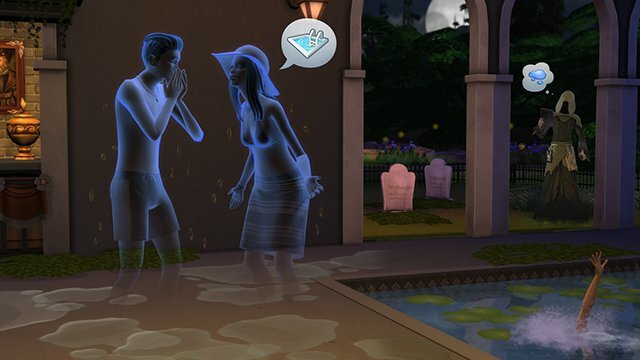 EA angered many fans when they announced that pools wouldn't be a launch feature for the The Sims 4. The company said they simply didn't have the time to do it. 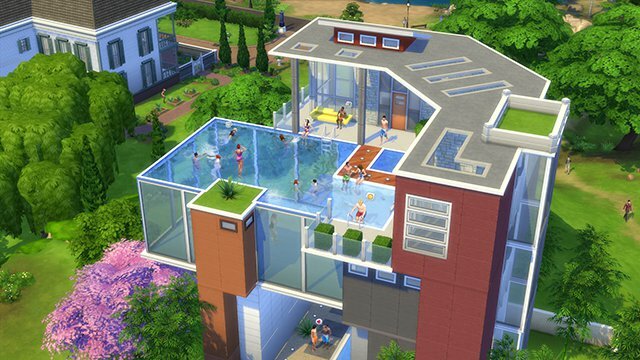 "Instead of pools, we chose to develop key new features in Build Mode: direct manipulation, building a house room-by-room and being able to exchange your custom rooms easily, to make the immediate environment even more relatable and interactive for your Sim," EA said this summer. The news wasn't received well by fans. They started a petition demanding that EA add pools to the game along with another long-time feature, toddlers. It's possible EA had this backlash in the back of their minds when they decided to release pools as a free feature rather than DLC. 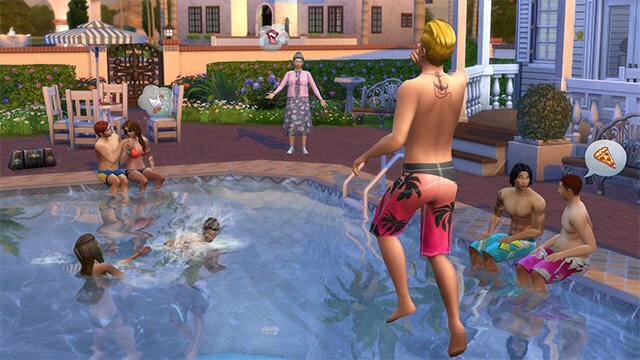 Pools are one of three free updates planned for The Sims 4 this fall. October's free update added ghosts and Star Wars costumes. EA will introduce new career paths to the game in December.